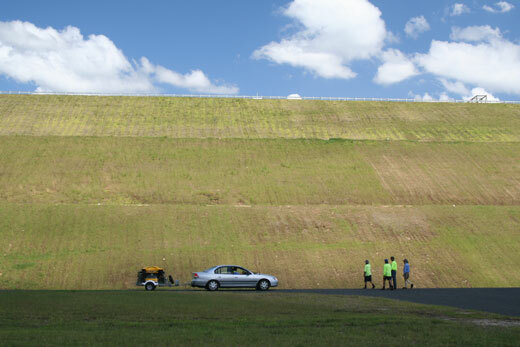 This dam wall in the Clarence Valley, NSW was suffering from rutting from ride-on mowers used to cut the slope. 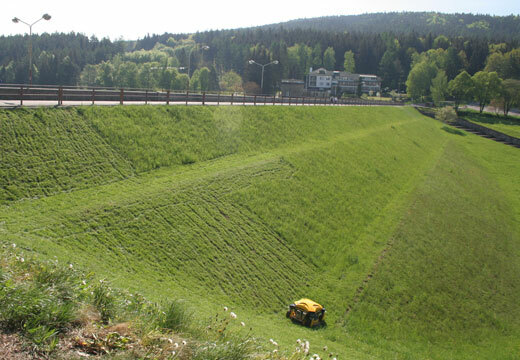 Regular mowing of such slopes keeps weeds under control, and promoting grass growth. However, rutting and wheel damage significantly increases potential for erosion. This dam wall was a 60 metre slope. The light weight four wheel drive Spider Mower causes minimal disturbance to the ground. This is a critical benefit in light growth slopes such as these. 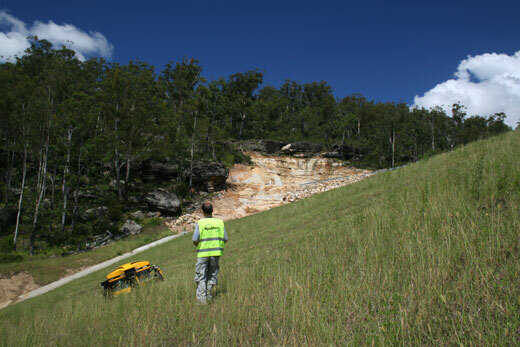 Regular mowing encourages healthy regrowth which better stabilises the slope from erosion. 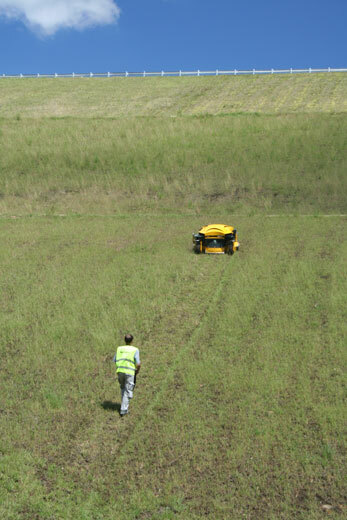 The wireless operating range is 50 metres, but the important element of machine control is good visibility of the machine direction and situation. Another typical grassed dam wall application.